The communist island will spend five days conducting its Bastion Strategic Exercise drills to prepare troops for "a range of enemy actions.” Historically, these exercises have been conducted during times of high tension with the United States. The launch of the drills was announced Wednesday, on the front page of the country's main newspaper, stating that the exercises will begin November 16, and warning that there would be "movements of troops and war materiel, overflights and explosions in the cases where they're required." 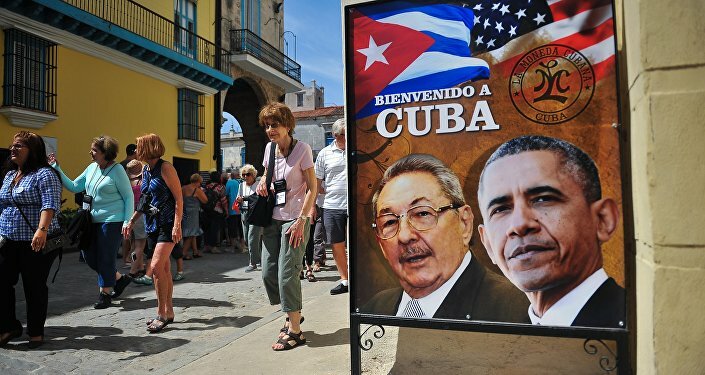 During his campaign, Trump had promised to reverse the US opening to Cuba, unless President Raul Castro allowed more political freedom on the island. Many Cubans have expressed concerns that Trump will stop the boom in business and tourism that they have experienced since the opening up of relations with Washington, ABC reports. "The little we've advanced, if he reverses it, it hurts us," taxi driver Oriel Iglesias Garcia said. "You know tourism will go down. If Donald Trump wins and turns everything back it's really bad for us." Others in the nation were rooting for Trump because they believe that Cuba jumped into the new relationship with the United States too quickly. "There's been a lot of rejection of what's been done with Obama," Carlos Alzugaray, a political scientist and retired Cuban diplomat said. "Many Cubans think that a situation of confrontation is better for the revolution." The Bastion Strategic Exercise was first conducted in 1980, after the election of Ronald Reagan.